After receiving the Etude House glitter nail polishes in my first Gmarket order, I could not wait to try them out. 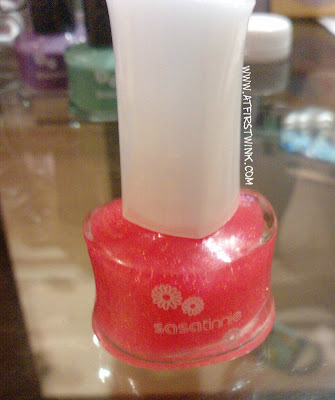 I first applied a layer of a dark pink Sasatinnie nail polish with small pink shimmers in it (the Sasatinnie Super Dolly Fantasy colour in Lily, P508) that I bought in Hong Kong. ....I just found out that the downside to it staying on my nails so well, is that it is a pain to remove. 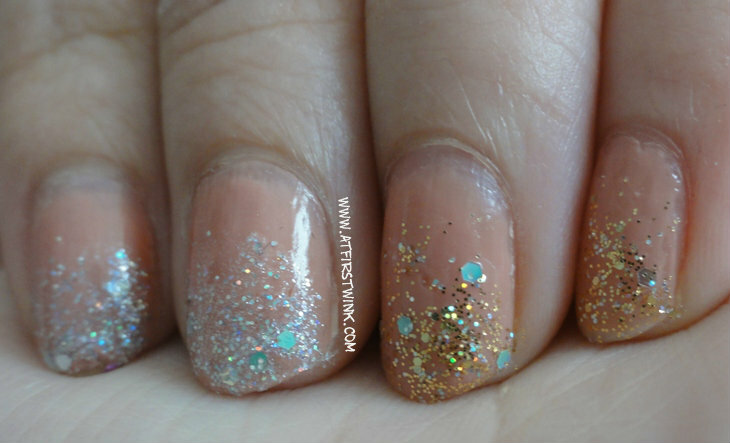 But it is okay since they really look pretty on my nails. The first time, the results didn't look so good. 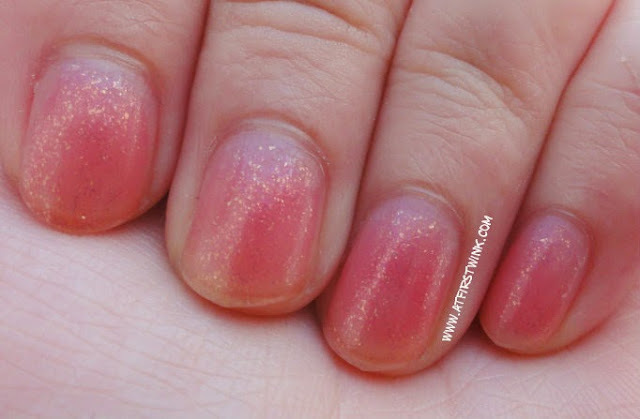 So I took some new pictures, using a plain, pink nail polish as the base.